I registered via Target’s baby gift registry site at https://www.target.com/gift-registry/baby-registry. 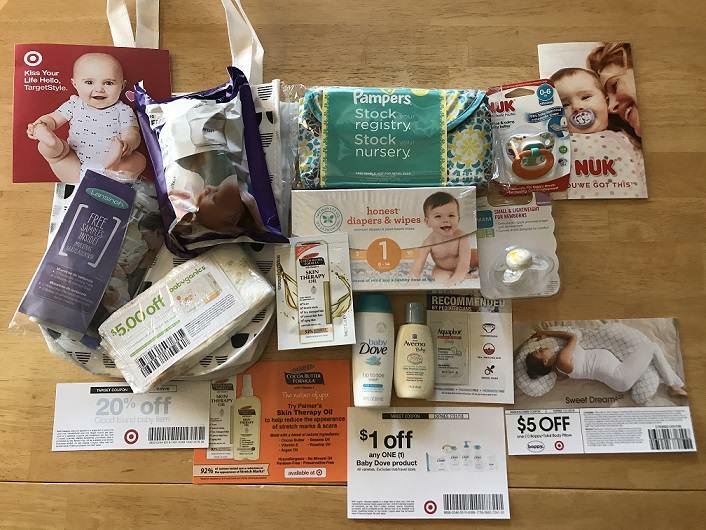 Then I just went to the Guest Services desk at local store and informed them I just started a new baby registry online, at which point they provided me with the free Baby Welcome Bag. Also worth checking out, if the free stuff changes from month to month. Maybe will go back in August to see of the bag contents are the same.